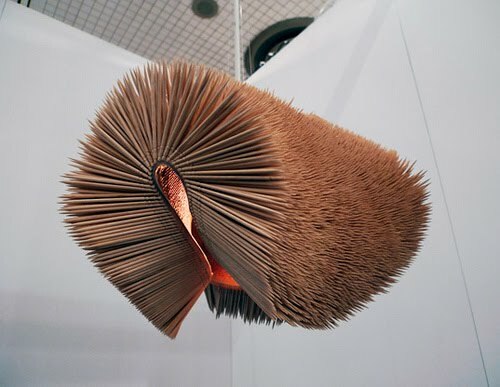 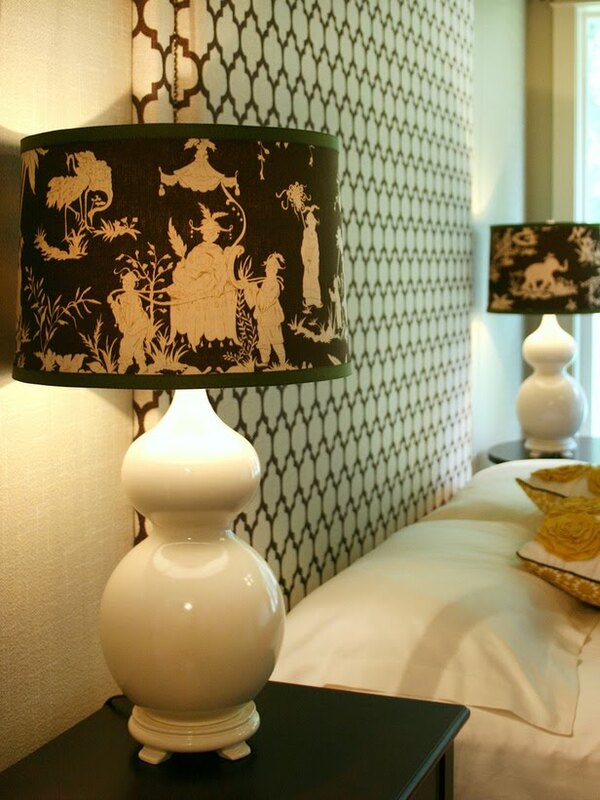 Collection of Creative and Cool Lampshade Designs from all over the world. 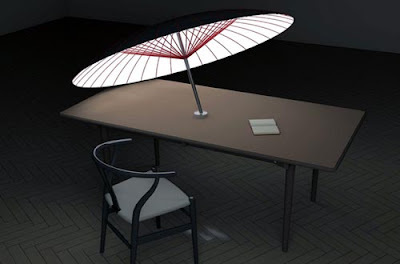 Umbrella Lampshade: Designed by Ze-Siao, this umbrella lamp keeps the sun out in the daytime and shine in the night. 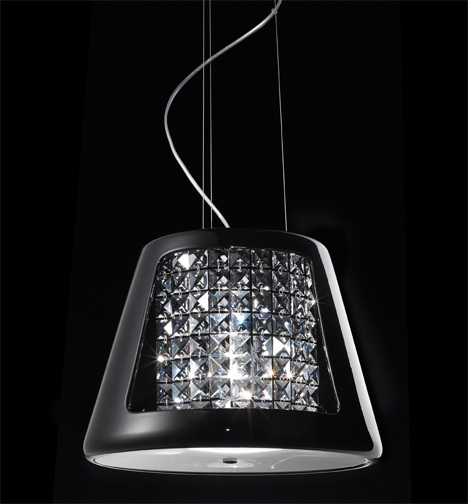 Crystal Lampshade: Lumique crystal lampshade by designer Stefano reflects beautiful light because of its fantastic refractions. 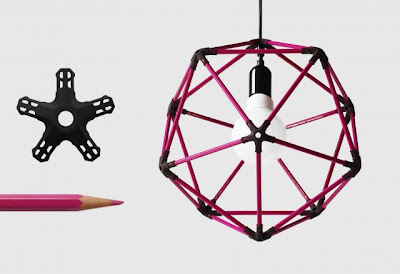 Pencil Icosahedron Lampshade: "Using 30 standard-sized pencils, and this kit, you can create an icosahedron-shaped object of about 38 cm or 15 inch in diameter." 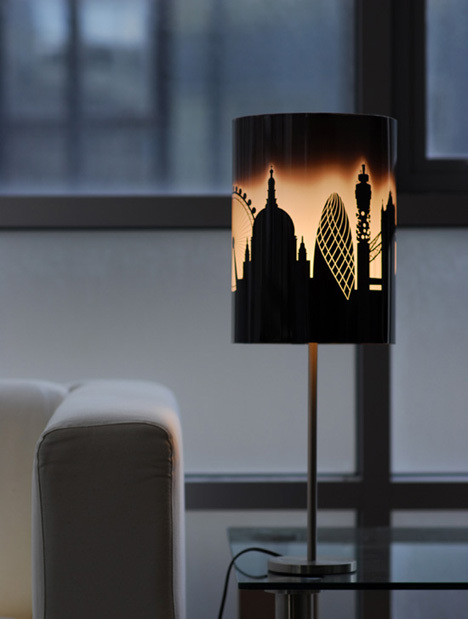 Toothpicks Lampshade: This cool lampshade is the creation of designer Daisuke Hiraiwa who uses glue and hundreds of toothpicks to create this one. 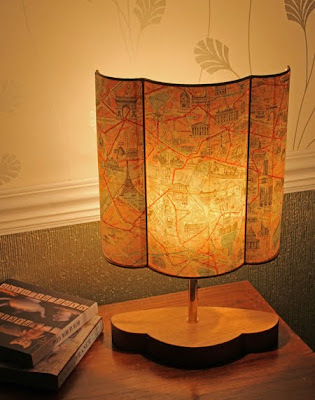 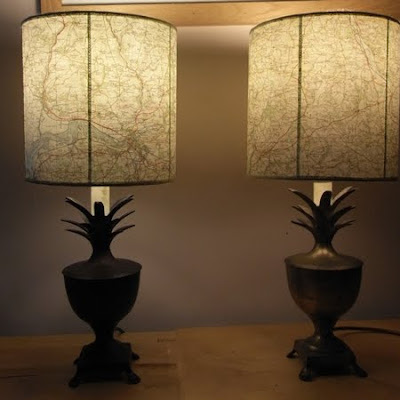 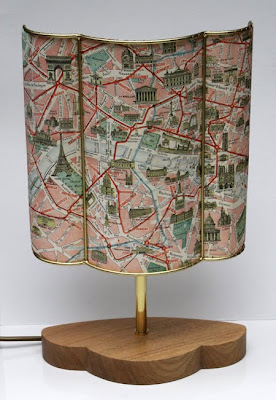 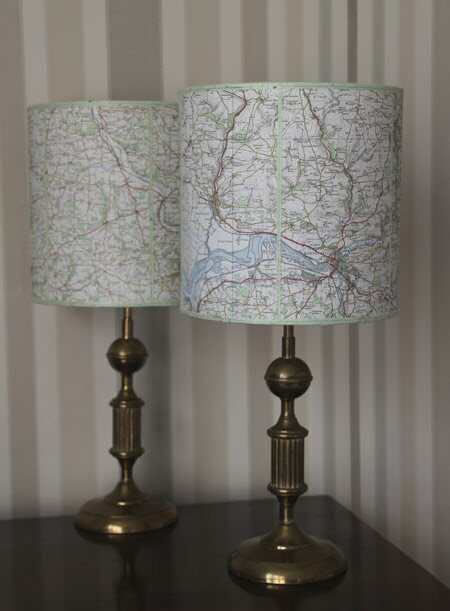 Map Lampshades: Lampshade designer Walker makes lampshades out of maps. 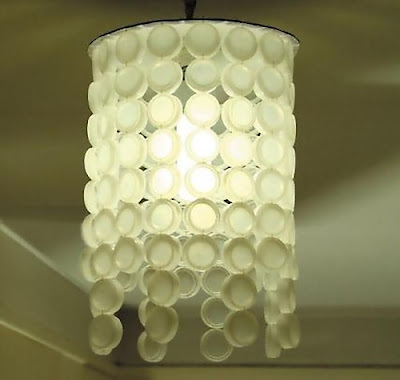 Bottle Cap Lampshade: It looks cool and is quite simple to make, here are the details - link. 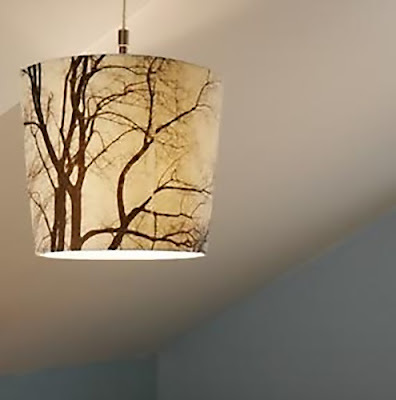 Photo Lampshade: All the details to create a lampshade with a panoramic photograph are here - link. 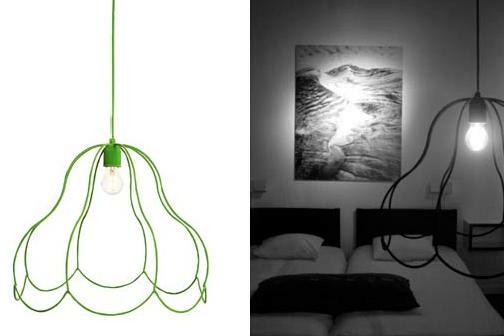 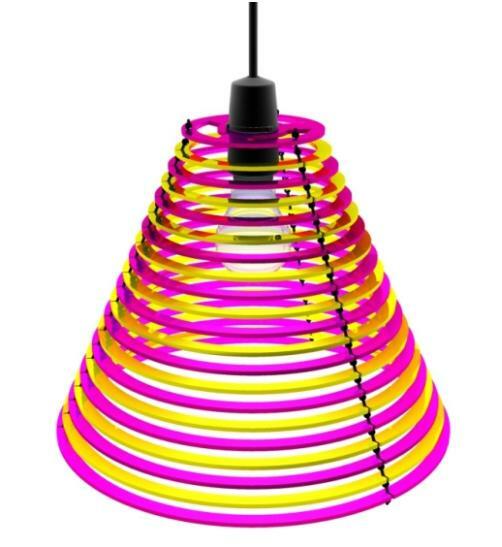 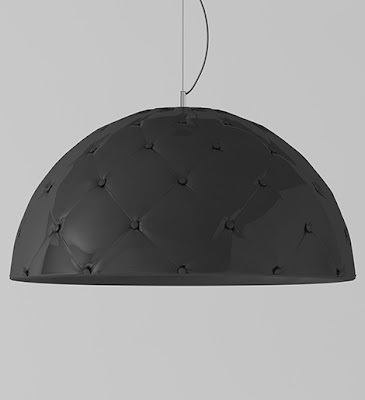 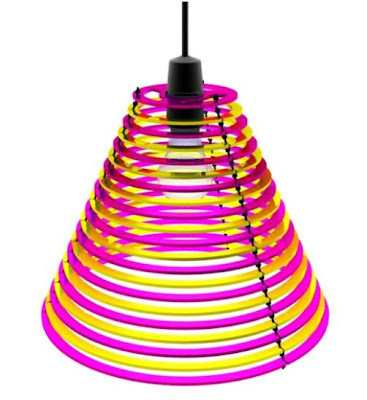 Zipp Lampshade: It measures approximately 50 cm in diameter, is made of polypropylene arranged in a flower-like shape. 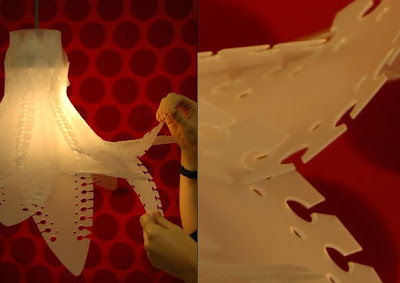 Zip or unzip however you choose! 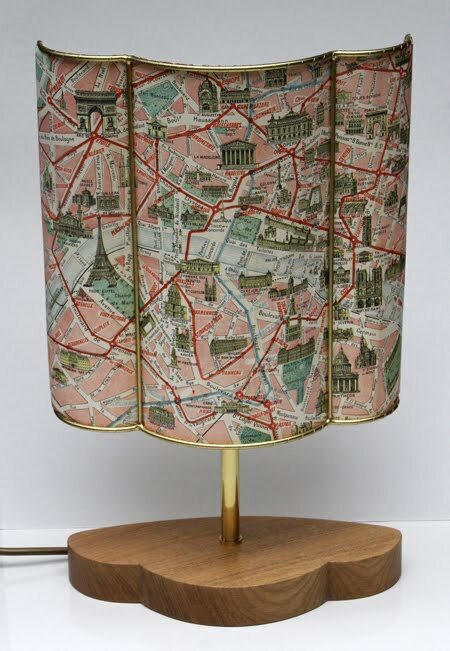 Custom Fabric-Covered Lampshade: How about giving a tired lamp a fresh, high-end look by covering the shade with trendy fabric and ribbon - link. The Emperors New Lampshade: It's a flock coated steel frame pendent fixture.